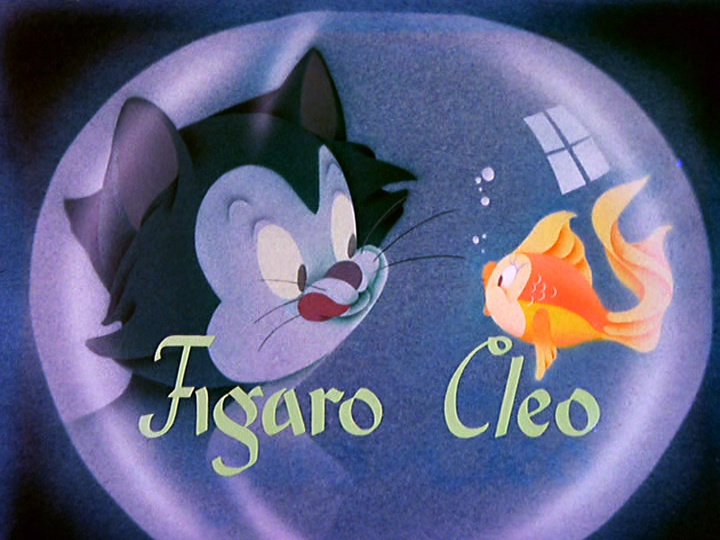 On October 15, 1943, the Figaro short film Figaro and Cleo was released to theaters. This is the first of a handful of shorts that features the popular character from the animated feature film Pinocchio, with Figaro continuing to star in an additional six short films. The short was directed by Jack Kinney. Figaro is waiting to be fed his supper, and is angered that more attention is being paid to Cleo, the goldfish. Hungry, Figaro eyes Cleo, but tells himself that he’d rather die. However, his hunger gets the best of him, and he decides to hunt after her. He then decides to play with the broom instead, much to the annoyance of the maid. He tries to get her attention, but she brushes him away. He lands in the living room and decides to play with a ball of yarn instead, finding himself in more trouble; when the maid punishes him by giving him no milk, Figaro decides that now is the time to eat Cleo. He waits until the coast is clear, then approaches Cleo with a makeshift fishing rod that uses his tail. When the maid catches him, he accidentally hooks the side of the fishbowl, but she frees him and scolds him again. Tired, the maid decides to take a nap, leaving Figaro with nothing to do but to go after Cleo. She wakes up to find him face-first in the bowl, and she ties his tail to her chair to keep him out of trouble before nodding off again. Unfortunately, her snoring causes the bowl to travel closer to the trapped Figaro, and he ends up freeing himself and falling into the bowl. The maid wakes up to find him in drowning in the bowl, and she quickly pulls him out and revives him. She makes sure that the two of them finally get along, and Cleo and Figaro seal their friendship with a kiss. 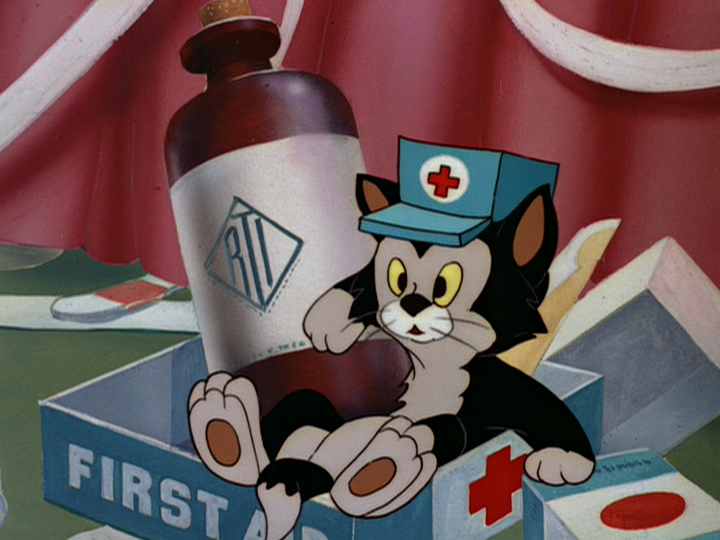 In the end, the maid gives Figaro his milk. 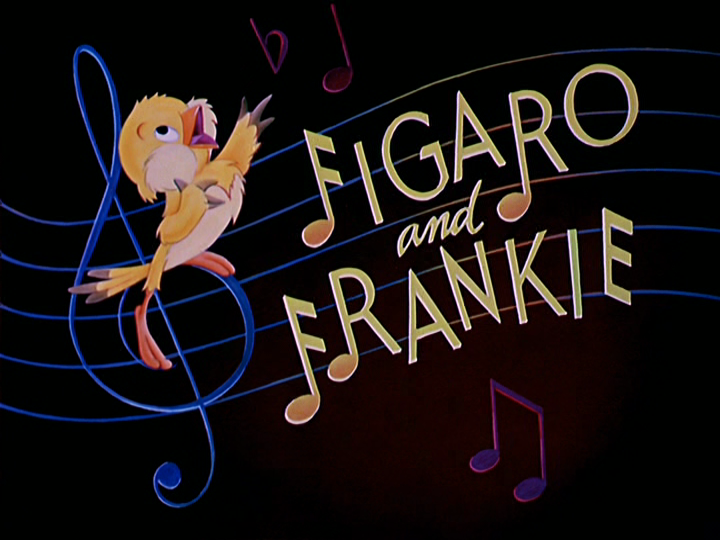 Posted in Uncategorized and tagged 1940s, Color, Figaro, Short film. Bookmark the permalink. 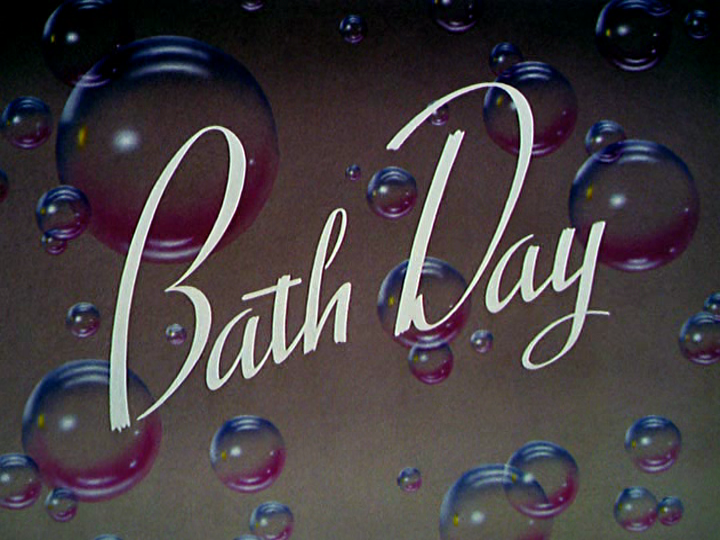 On October 11, 1946, the Figaro short film Bath Day was released to theaters. 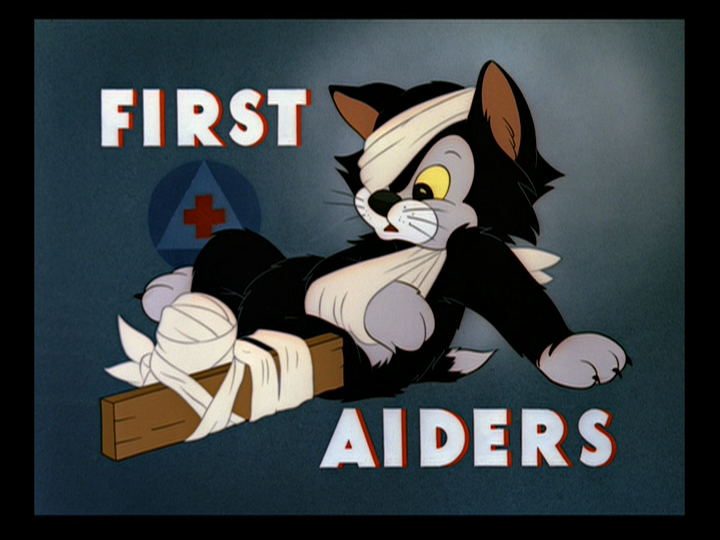 A handful of shorts for the kitten from Pinocchio were released, this time being seen as Minnie’s pet. 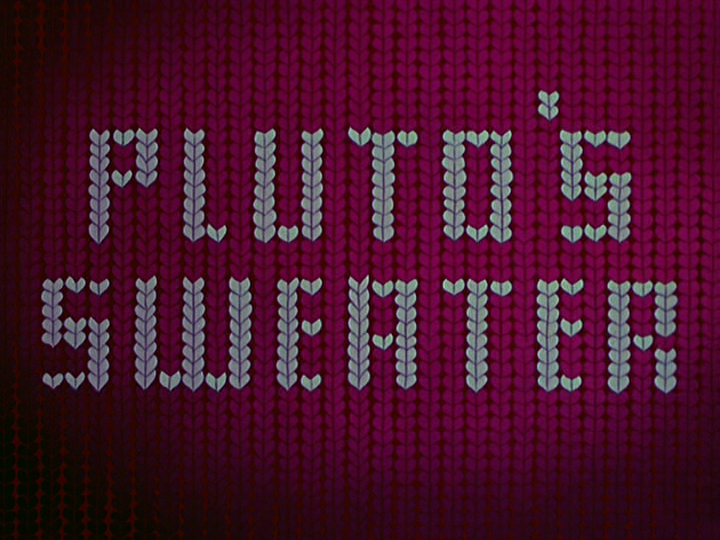 The short was directed by Charles Nichols, with the story by Eric Gurney. Figaro is taking a nap, when someone off-screen calls for him. He looks up to see Minnie Mouse waiting to give him a bath. Hearing this, Figaro hides and fights with Minnie, refusing to get into the tub. Minnie grabs some bubble bath, and begins to wash the cat, who is less than thrilled. She finishes the wash with a bow around his neck and some perfume. Minnie calls him beautiful, which Figaro interprets as looking like a sissy. Angered, he throws a tantrum, and falls out the window. Outside, he gets caught by the aroma of fish, and follows it into the trashcan, where he runs into a mean alley cat. The cat looks at Figaro, and calls over his gang of cats, who all proceed to laugh at Figaro and his bow. 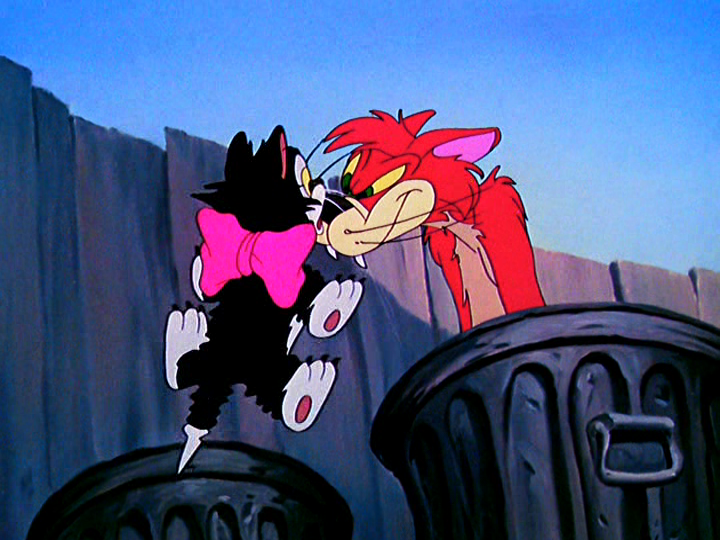 Figaro tries to attack the alley cat, but is unable to lay a punch on him. The cat then pretends to be scared by Figaro, then gets the upper hand of the fight. When the alley cat places the shaking kitten against a mountain of trashcans, the shaking causes the entire mountain to fall, knocking the alley cat out cold. The gang is surprised to see Figaro walk unscathed, and run away from the kitten. Minnie finds him after this fight, and is given another bath, against his will.